Ikonos Satellite Image © Centre for Remote Imaging, Sensing and Processing, National University of Singapore (2006). Ikonos Satellite Image © Centre for Remote Imaging, Sensing and Processing, National University of Singapore (2007). Ikonos Satellite Image © Centre for Remote Imaging, Sensing and Processing, National University of Singapore (2008). Ikonos Satellite Image © Centre for Remote Imaging, Sensing and Processing, National University of Singapore (2010). 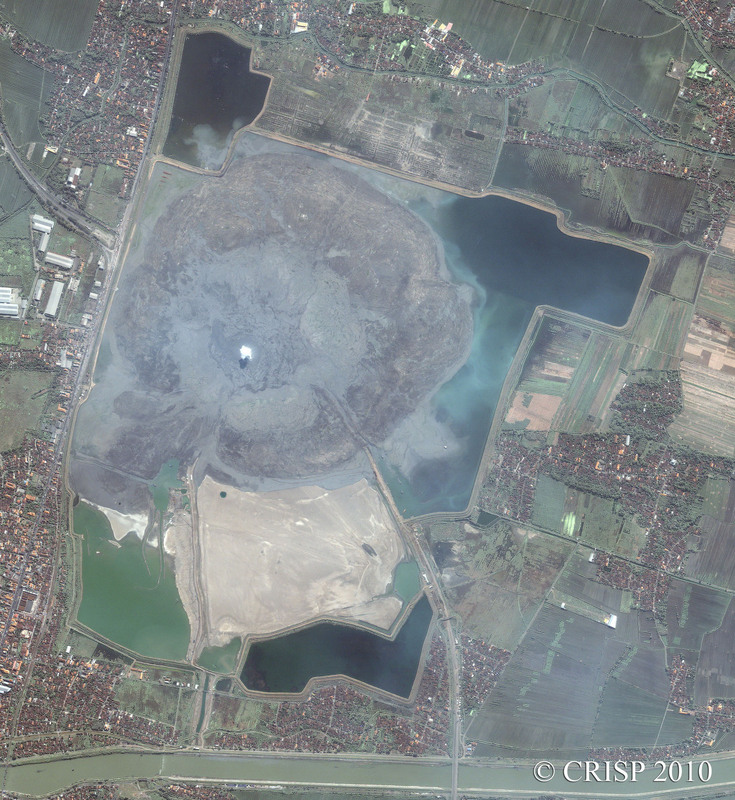 Ikonos Satellite Image © Centre for Remote Imaging, Sensing and Processing, National University of Singapore (2013). Furthermore, there is much that is unclear about the circumstances that led to PT Lapindo Brantas’s exploratory drilling activities. In their book Kronik Lumpur Lapindo Skandal Bencana Industri Pengeboran Migas di Sidoarjo, Batubara and Utomo claim that PT Lapindo Brantas tricked some residents into selling their lands using an intermediary by promising to build a chicken farm. Moreover, sociologist Anton Novenanto also claims in his three-part article published on the activist website Korbanlumpur.info that, contrary to what many think, some government agencies were actually complicit in allowing the company to set up an exploratory well in a heavily populated area in the first place, in violation of Indonesia’s Mining Law. Mohsin, Anto. 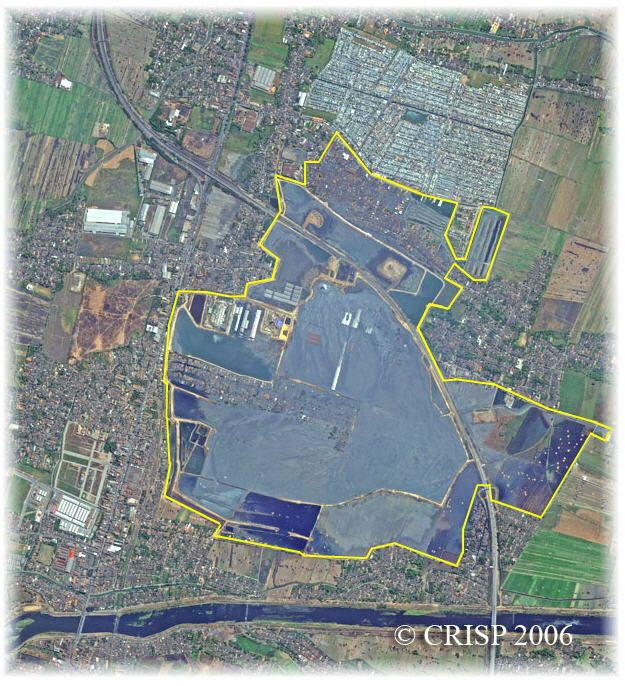 “The Sidoarjo Mudflow and the Muddiness of an Environmental Disaster.” Environment & Society Portal, Arcadia (Spring 2017), no. 5. Rachel Carson Center for Environment and Society. https://doi.org/10.5282/rcc/7767. Batubara, Bosman, and Paring Waluyo Utomo. Kronik Lumpur Lapindo Skandal Bencana Industri Pengeboran Migas di Sidoarjo. Yogyakarta: INSISTPress, 2012. Davies, Richard, Michael Manga, Mark Tingay, Susila Lusianga, and Richard Swarbrick. “Sawolo et al. 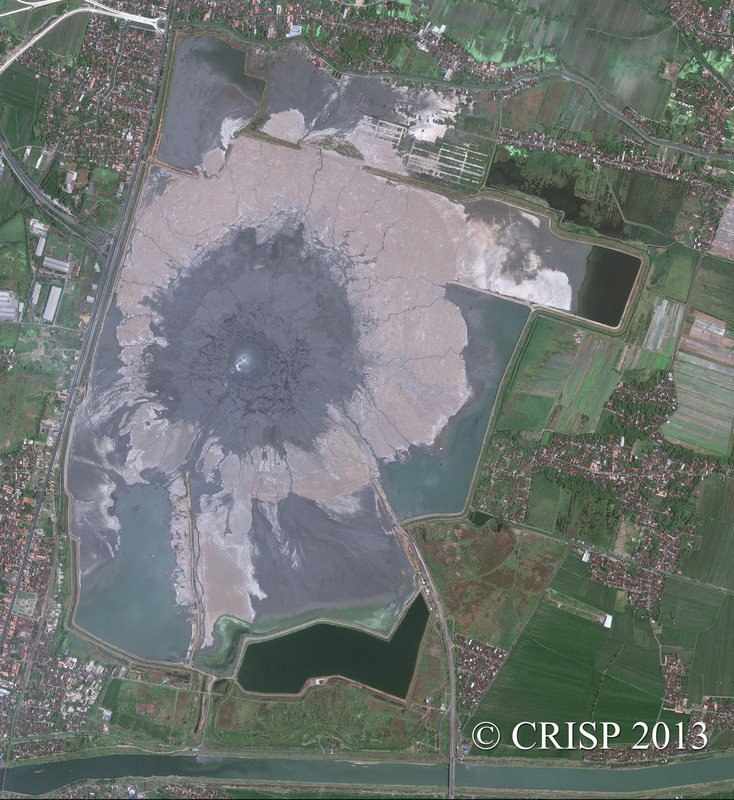 (2009) the Lusi Mud Volcano Controversy: Was it Caused by Drilling?” Marine and Petroleum Geology 27 (2010): 1651–57. Drake, Phillip. 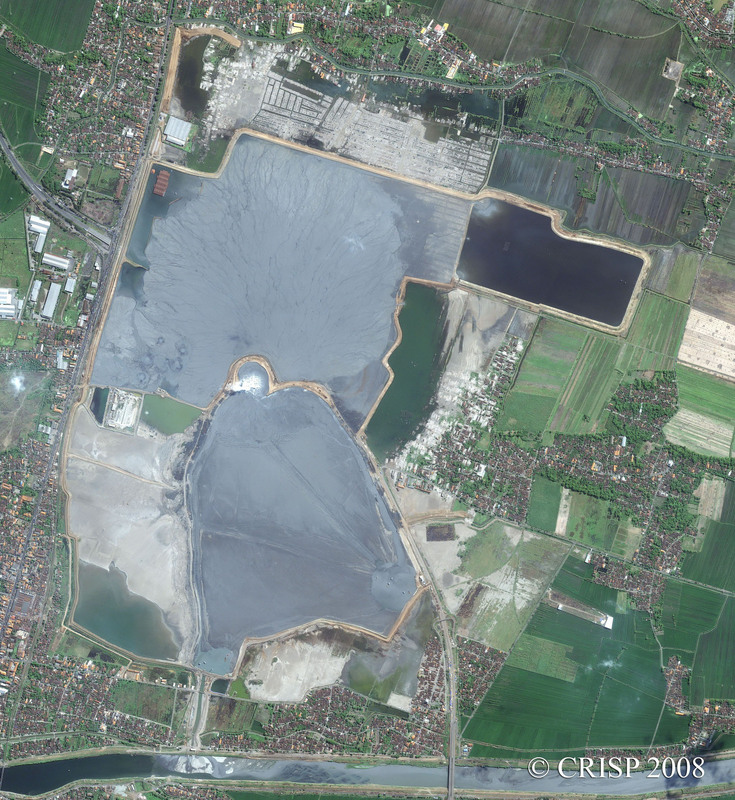 Indonesia and the Politics of Disaster: Power and Representation in Indonesia’s Mud Volcano. London and New York: Routledge, 2017. Drake, Phillip. "Indonesia’s Accidental Island: Composing the Environment in the Echo of Disaster." Environmental Communication 2016: 1–13. Novenanto, Anton, et al. Membingkai Lapindo Pendekatan Konstruksi Sosial Atas Kasus Lapindo (Sebuah Bunga Rampai). Jakarta: Penerbit Kanisius, 2013. Sawolo, Nurrochmat, et al. “Was LUSI Caused by Drilling?—Authors Reply to Discussion.” Marine and Petroleum Geology 27 (2010): 1658–75. Schiller, Jim, Anton Lucas, and Priyambudi Sulistiyanto. 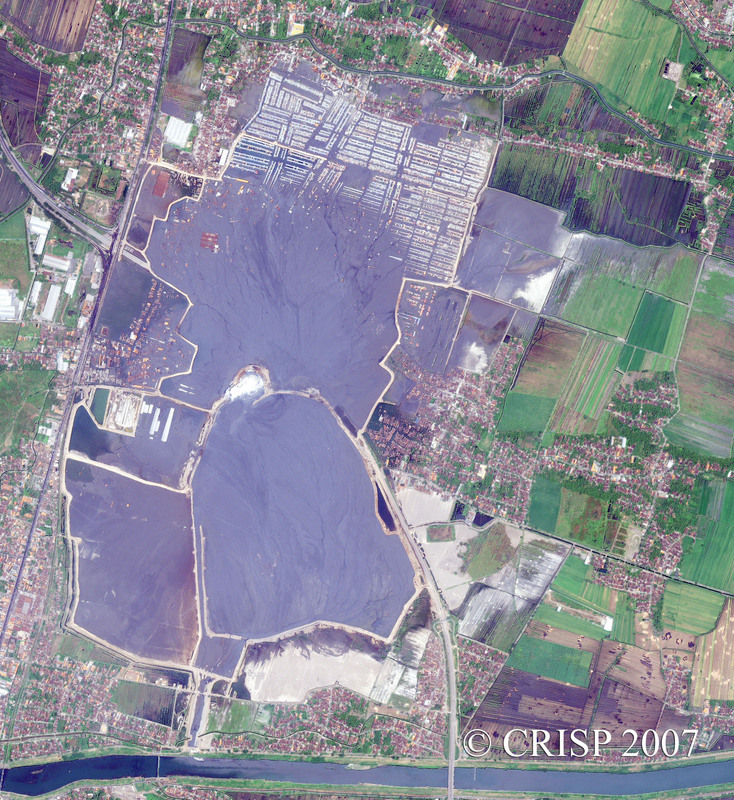 “Learning from the East Java Mudflow: Disaster Politics in Indonesia.” Indonesia 85 (2008): 51–77. A website created by activists to give a voice to the disaster victims (in Indonesian). Anto Mohsin is an Assistant Professor in Residence in the Liberal Arts Program at Northwestern University in Qatar. He received his PhD in science and technology studies (STS) from Cornell University. Prior to joining NU-Q, he held a Henry Luce Postdoctoral Fellowship in Asian Environmental Studies at Hobart and William Smith Colleges. His teaching and research interests include energy studies and environmental studies. His research has appeared in such publications as Sojourn: Journal of Social Issues in Southeast Asia and East Asian Science, Technology and Society: An International Journal. He has presented his work on the Sidoarjo mudflow disaster at the annual East-West Graduate Student Conference in 2009 and at the Sociotechnical Resilience workshop held at Nanyang Technological University in Singapore in June 2016.